Shop With Us at Our New Shop Site! 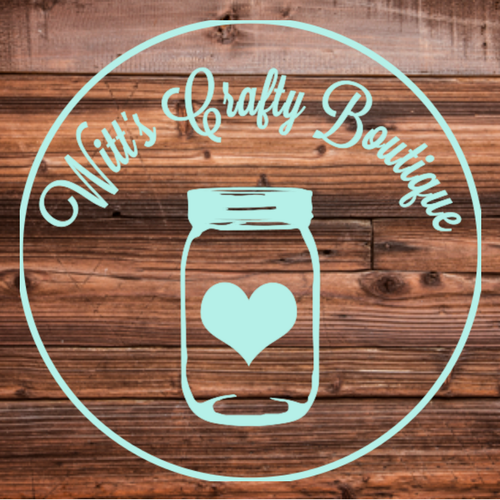 Click here to shop our crafts, boutique items and digital files! Find out more about our little family! Check out my various topics, reviews, tutorials and more! Check out the companies I am involved with! I carry my stress around with me all the time. I am a busy mom, stepmom, wife, aunt, entrepreneur and more! I battle my depression and anxiety daily. I have a hard time just enjoying things sometimes. I have trouble just sitting back relaxing and living. The first week school was out and I had my niece I took some time here and there to do just that and it felt great. As the mom of a now 18-year-old I definitely know all too well how time goes by so fast and kids grow up right before our eyes all too quickly. I always tell people with small children to sit back and enjoy all those little moments while you can because you will miss them. You will miss some of those busy moments once they are gone. We all get in such a hurry these days. We all are juggling so many different things and are staying so busy we often forget to make time to just enjoy life and the people around us. Due to the Monday holiday our week started off on Tuesday. We made a trip to get a few things I needed for orders for our business but before that we ate at Mooyah. I had taken my niece Cailey there once before and she loved it. They have a chalk board in the corner you can write on and kids just love that. 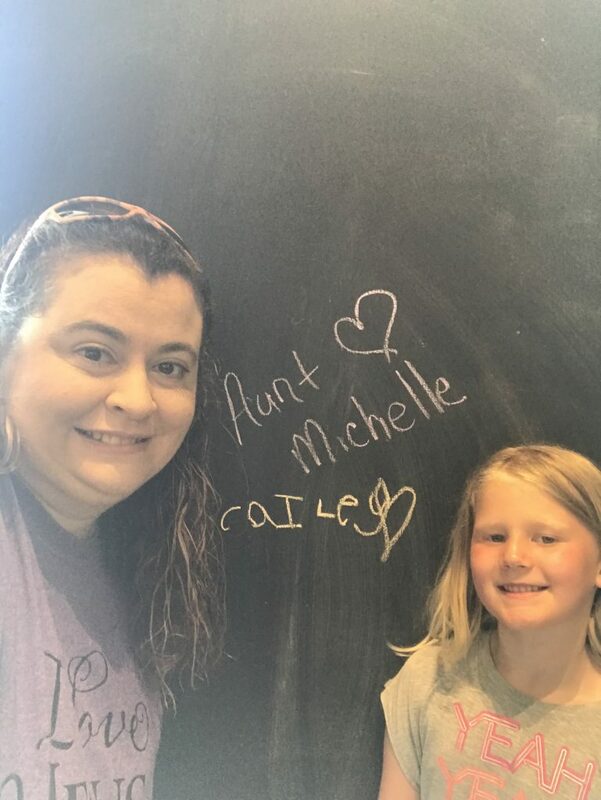 We had fun eating and writing on the board and even took a picture in front of the board. We even posted our picture to social media using the hashtags shown on their TV screen we watched while we ate. After that we journeyed over to Hobby Lobby for supplies. I let her pick out something with left leftover money from lunch as my grandmother had given her money to pay for our lunch. We had fun just looking around. Those little things were fun and we made some memories while we were at it. The rest of the week she helped me do things in my office working on the business. We even took a day and watched Charlotte’s Web. She had never seen it and I had not seen it in many years. I put all my devices up and concentrating on just watching that movie with her. It felt good to just be present in that moment. I know the summer is young and we will make many more memories but it sure was a great way to start summer vacation and just life in the moment. 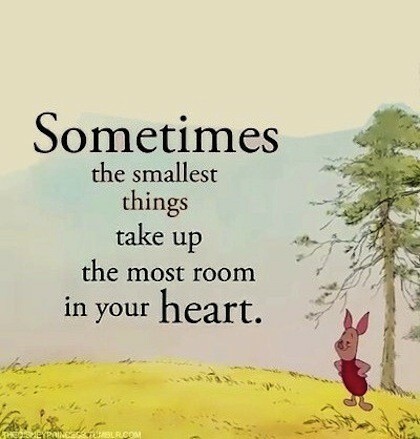 I highly recommend that everyone try to take time when they can to just live in the moment and enjoy the people around us and especially the kids in our lives because they grow way too quickly. They spread their wings and their lives get so busy that our time with then becomes limited and trust me you will miss it. Stop and color that picture. Stop and watch that movie. Stop and play with those dolls. Take a picture or a Snapchat! Do it all and enjoy every single minute! When did my depression and anxiety start is something I get asked quite often when someone finds out about my mental illness and gets close enough to me to want to ask. 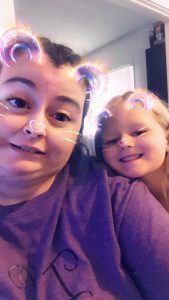 I never know what to say because I never sought help until I was the age of 28 finding myself going through a separation and later divorce as a mom of a toddler although I know without a doubt it started much earlier than that. Just tonight as I listen to a playlist from the 80s while working on my craft business I am somehow struck with thoughts of dying and my fears around that. I begin to think of how I would know how my son is and other family members. What about my stepsons and future grandchildren? How could I not be around and how could I even begin to think about it all. I feel the anxiety surging up my chest. I feel the tears starting to roll out of my eyes. I then reflect on my childhood. You see the thought and fear of death was something I remember being very anxious about as a child. I can remember lying awake at night and thinking about not seeing my parents and grandparents. How could the world just go on without me and how could I never get to see those people again? I would cry myself to sleep many times thinking about it all. I honestly don’t know if I ever talked to my parents about it. I don’t remember it if I did but I do remember how I felt. Now whether the above is enough to say that I had depression and/or anxiety I don’t know but it certainly would seem to be that I had possibly a heightened sense about these things in that I let it keep me from sleep and make me so upset. I think I have always been what could be deemed as “sensitive” and whether that means I actually had signs of a mental illness back then I honestly don’t know. I can tell you that as I entered my teen years I definitely suffered from mental illness. 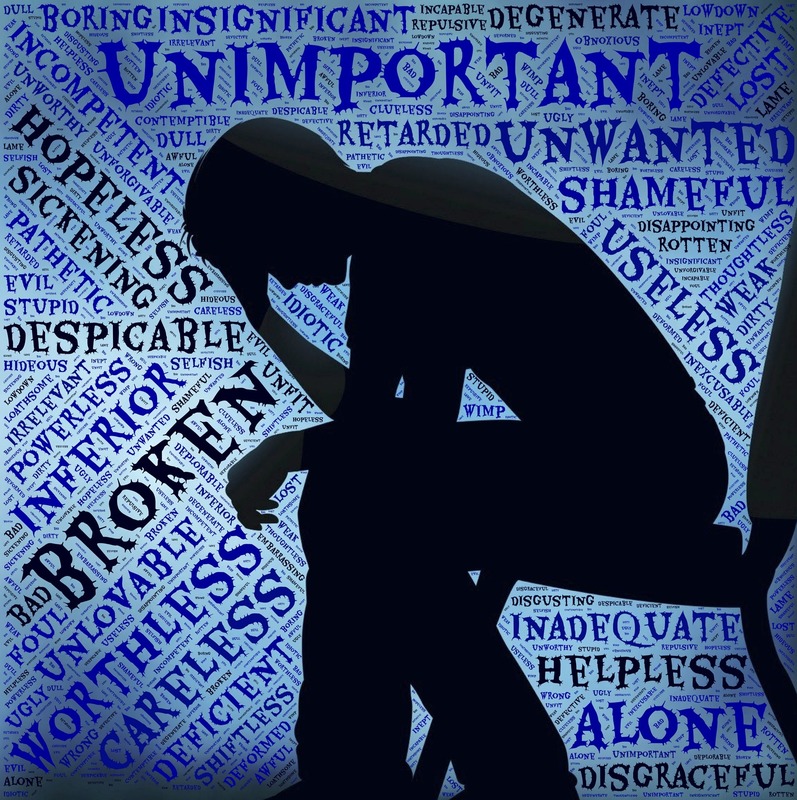 Depression was present and even suicidal thoughts. Junior high was a really tough time for me. I had moved in the fourth grade to a new smaller school after my mom remarried and I had a pretty hard time trying to fit in there. I never really felt like I belonged. Junior high years brought a lot of issues with just the normal puberty issues along with already feeling like a complete misfit. My parents had divorced when I was young and mom remarried. I had an off and on again relationship with my dad. Then my mom also had a new baby. I love my brother. I always have and I always will but my world completely changed when he came along. I stopped being an only child and I took a back seat during a crucial time in my youth and it was not easy. I was so depressed and I do not even think my parents realized it. If I wasn’t such a “chicken” and didn’t have so much anxiety and worry over some of the methods of killing oneself I probably would not be here today writing this. I was a stupid and scared depressed teen. I thought of things like drinking harmful poison liquids to kill myself. What could I drink that would not taste bad but would kill me? Well I was picky so that probably would never have worked. What medicines could I take a lot of to make the pain go away? Making the pain go away meant I would never return. I would never see my little brother again or any of my family. I honestly thought a lot about my brother and I loved him and he is also a big part of why I am still here. He took attention from me in some major ways but I was smart enough to know it was not his fault and he was important to me and I hated to think of leaving him alone in this world with no sibling. A while after entering high school I gained some unexpected attention and popularity and it changed my life in some big ways. I had confidence and felt like I was actually likable and maybe this whole teenager thing was turning around. I got a boyfriend later my Freshman year and I had an overall decent high school experience as far as most were concerned. Deep inside I still struggled. I was constantly worried about my image. I feared I wasn’t pretty enough or skinny enough. I went through a lot of days of barely eating much trying to be skinnier and prettier. My parents were always busy with my little brother and missed a lot of my activities. I still always felt second best. I guess maybe that is why popularity at school was so important to me. I wanted so badly to be liked and so badly to be popular that I made some serious mistakes and searched for love and acceptance in all the wrong ways. I learned a lot from it although not until much later in life. One thing that I am not even sure started high school or junior high was my major anxiety over speaking in front of people. I would count the paragraphs if we were taking turns reading and obsess over it. I would count it again and again after each person read. I just knew that I was going to say something stupid or get made fun of for some reason. Forget giving speeches and reading a report in front of the class. I remember physically visibly shaking one time. I was physically ill. I can also tell you that I missed a lot of school during those days and it was mostly my mental illnesses causing me to be physically ill and I would get especially sick to my stomach. 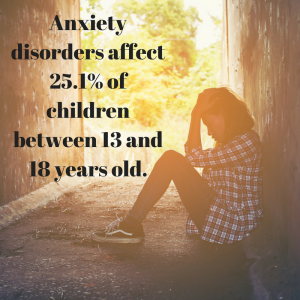 I don’t know if my parents still did not notice it or thought it was not bad enough for me to seek help but help back them could have probably helped me then and even now. I have battled these mental issues much of my life as you can tell and my life has been filled with a lot of bad choices and heartache that possibly could have been different had I been able to get some sort of help for my mental illness back then. I am not faulting anyone because things were a lot different back then. What I want to come out of this is for someone, anyone to read this and realize how important mental illness is and that it affects our youth and is something they will not just get over. They will carry it with them into adulthood. Who knows what a difference getting some kind of help could make to so many? How many suicides could be prevented if we all felt more open to getting the help we need? 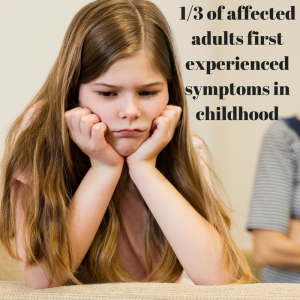 How many bad childhood and adult choices could be prevented if we learned early on to deal with our issues and try to love ourselves a little more by getting care we need? Early detection and getting rid of the stigma surrounding mental illness is so crucial. Way too many go without seeking the help they need because they fear the judgement from others. 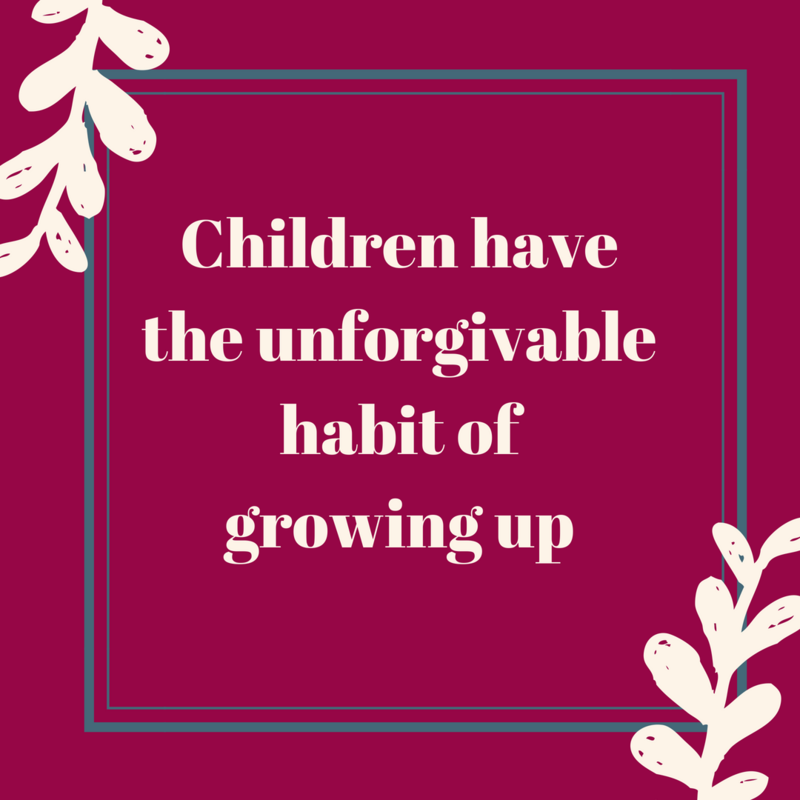 As a child or teen some even fear judgement from their own parents and family. 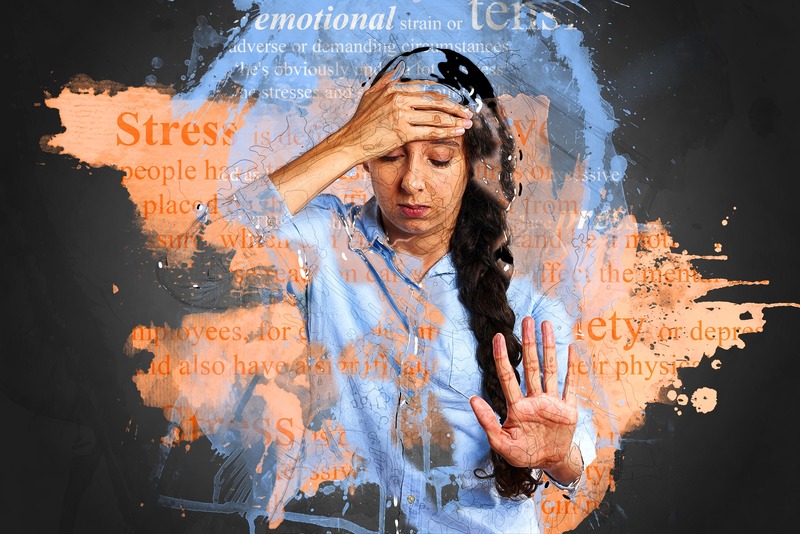 Why is it that we so openly seek medical treatment for every little thing physical wrong with us but are reluctant and often even embarrassed to seek treatment for mental illness, the very illnesses that deal with our brains? Aren’t our brains, our minds, just as important if not more important than the rest of our body? The holidays had me so busy I have not written in far too long. I have been pondering what to write about with so many ideas and drafts already written. As I was sitting here working on graphics and things for my craft business I started thinking of a conversation that I had with my husband earlier and something I had been thinking about a lot lately. 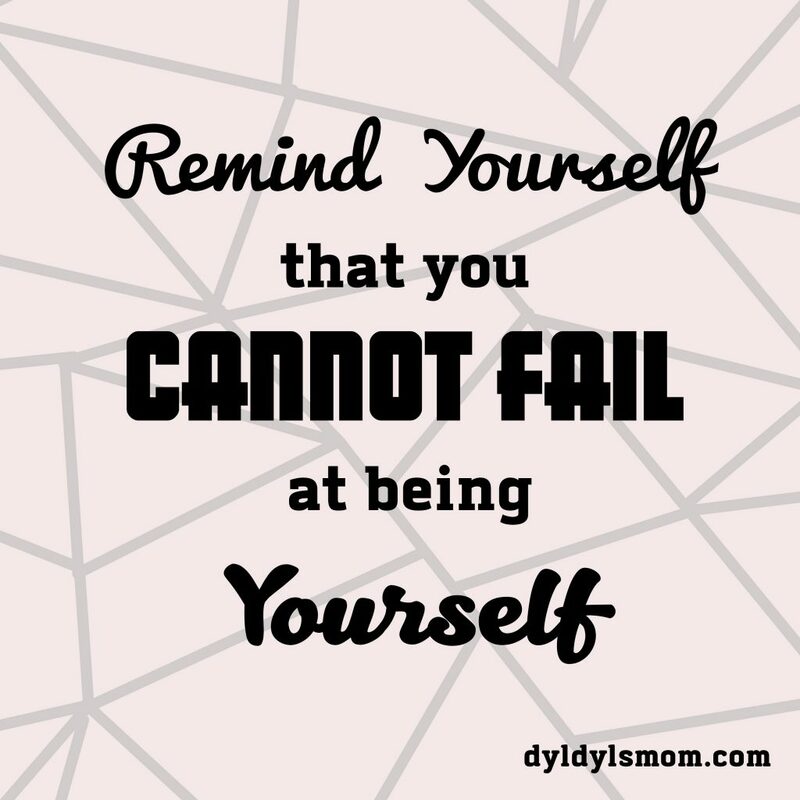 I am working on myself and trying to find my new identity. 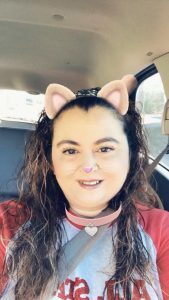 I was a single mom for about 12 years before meeting my current husband. We have been married a little over a year having met my husband between 3 and 4 years ago. My son who is now 18 lived with me full time until the age of 12. He was always very active with a lot of friends and active in sports and activities. His dad was and is in his life but most of the time growing up we lived approximately 45 minutes away from him and 20 or more from family so getting him here and there and everywhere was my responsibility. 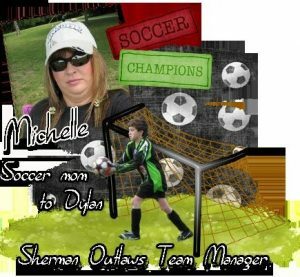 I did not mind doing it at all and being Dylan’s mom or as I call it dyldylsmom was who I was. 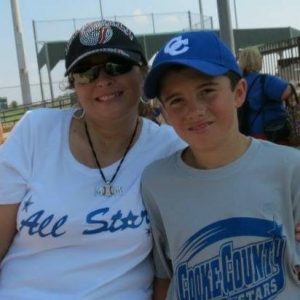 I was his soccer mom, baseball mom, basketball mom and more as he tried out various things over the years. He was still active in sports until a couple of years ago and I still attended every game and event I could and that was a part of who I was as much as anything else. I am a huge hobbyist photographer so cheering him on and snapping photos was always a must. 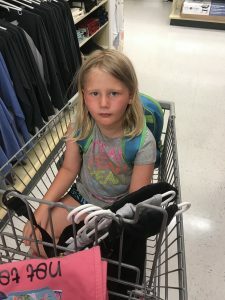 The last couple of years have not been filled with the activities like before but we have had a lot of issues that have been stressful and mentally exhausting. 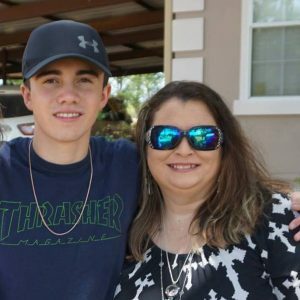 We still have issues but now that he is 18 and has pretty much made the decision to be on his own that part of me is gone. I am still his mom and always will be. 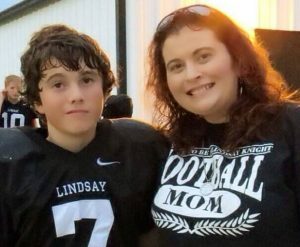 I am still a stepmom to three boys, one of which lives with us at almost 13 but is much less active and has nothing to do with sports. His dad, my husband, is here to share in those responsibilities as well. I do miss all of the sports and I wish circumstances were different I could be doing some of those things but it is what it is and my life is in a different place. Despite the arguing and distance between us now because apparently teenagers just don’t want to hang out with their parents anymore I still would do almost anything for him as long as it is not harmful or against my beliefs of course and we have always been pretty close. I knew he would grow up and our relationship would change that is a given. I never knew the things that have happened or what we have been through the last couple of years would have ever happened and that is the hard part. Every day I struggle between losing the part of me that was dyldylsmom and finding me as a person. Now I am able to focus more of my energy to my own hopes and dreams. Part of me feels guilty I think but my son in his heart knows that I have always been there for him waiting on his sidelines and I am still here but things are different and I have to do what is healthy for me and work on building myself up. My family is important to me and always will be but building a business I can be proud of and doing things I enjoy in this life are also important to me and in turn to my family. I cannot be there for them fully if I am not there for myself. I fight battles daily with my mental illness and other issues but I am here and I am working on me daily with all I have. I don’t have a completely empty nest yet but the dynamics of our nest have changed and so in turn I change too and hopefully for the better. So I will admit right up front that my feet are pretty rough. I unfortunately inherited my mom’s callused and rough feet. It drives me absolutely crazy. When I reach down and feel my feet and they feel and sound like sandpaper it is almost like nails on a chalkboard. I also admit that I bought these things a few months ago and we moved and I had misplaced them during our move. Well I am too cheap to buy another set until I made sure they did what they said so I impatiently waited for myself for my husband to find them. I know that I also could have went to the salon and had the nice ladies give me a pedicure but I have been way too busy and also just did not want to part with that much extra money right here close to the holidays and after a movie and car issues. I finally found them a couple of weeks ago and finally got to give them a try. I honestly was not really optimistic. I just sort said I would try them and then if they did not work well I knew not to purchase them again. I read the instructions a few times making sure I read them right and that I was to soak my feet in them only the one time. I thought surely I would have to do more than that to get them to peel in a few days. Well I was wrong. I put each foot into the bags that contained the solution. I first put in my left foot and made sure it fit tightly. 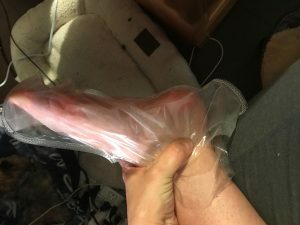 It said something about wrapping or cutting or something but I just put it on and then put my sock and my slipper sock on over it and it was held in place tightly as it should be. The solution smelled clean and maybe a little like alcohol but nothing major or displeasing. I then did the same with the other foot. I work at home and I just continued working while I waited the allotted time. I took them off and rinsed my feet off with warm water when the time was up and for then I was done. Again, I am a pretty busy person and my mind forgets things these days on a pretty regular basis. A few days after I had done this I felt like I was walking on something and kind of thought to myself “what in the heck is that?”. 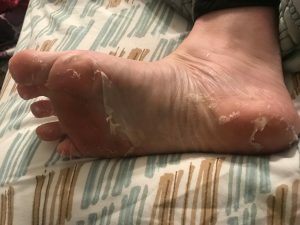 I was talking on the phone to my Mema and I pulled something off the bottom of my right foot and thought to myself “surely that is no my skin”. Well after I was done talking to her I sat down on the edge of our bed and low and behold both of my feet were peeling. That dead skin was definitely starting to come off. This happened a little more over the next few days so I just sat down daily and peeled that dead skin off. Some of it would be small pieces so a bit of a pain but my feet felt so soft. My feet still feel soft. They feel at least as good as they do when I go and get the nice ladies at the salon to do it for me. This process was super easy and effective. The worst part was just the skin peeling and trying not to make a HUGE mess. If you have something to put it all in or on or do it over a trash can you will be perfectly fine. I can definitely recommend this to anyone who was a nice at home and affordable remedy. 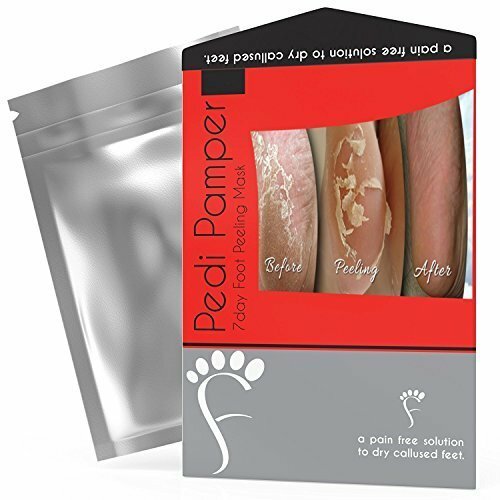 You get a little of the spa feeling to doing it this way and your feet will feel soft after you are done. I will definitely give this product a thumbs up. I was definitely pleasantly surprised. If you are interested in looking at the information and/or purchasing just click the picture below. *My site does contain affiliate links and I may get some sort of credit for some links clicked within my site. Let me first say I am a work at home medical transcriptionist so I sit a lot! My job requires me sitting all day so I sit in my office chair just for my full time job at least 40 hours a week. I definitely need to be comfortable. I also have a small business where I do crafting for money. I design shirts and such so I also spend a lot of time doing that as well as marketing and maintaining my store on sites so I spend even more time in my chair doing that. I got this cushion and was definitely excited to try it. Besides my job and business I was also involved in a wreck a few years ago where I was injured and had terrible sciatica and low back pain. It is much better but sitting for long periods can cause it to flare up on me. I have to try to maintain a good sitting position and keep my chair comfortable. It was packed great in a box as shown in my pictures. I opened it up and took it out of the bag. 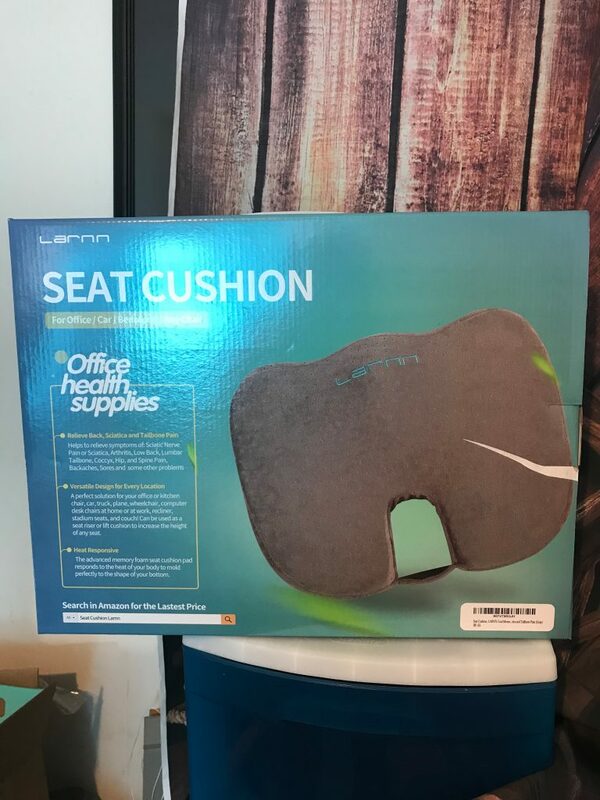 I put it in my chair and so far it has made a huge difference in my sitting comfort. I have worked with it and been very busy with my craft business since it is the holiday season. 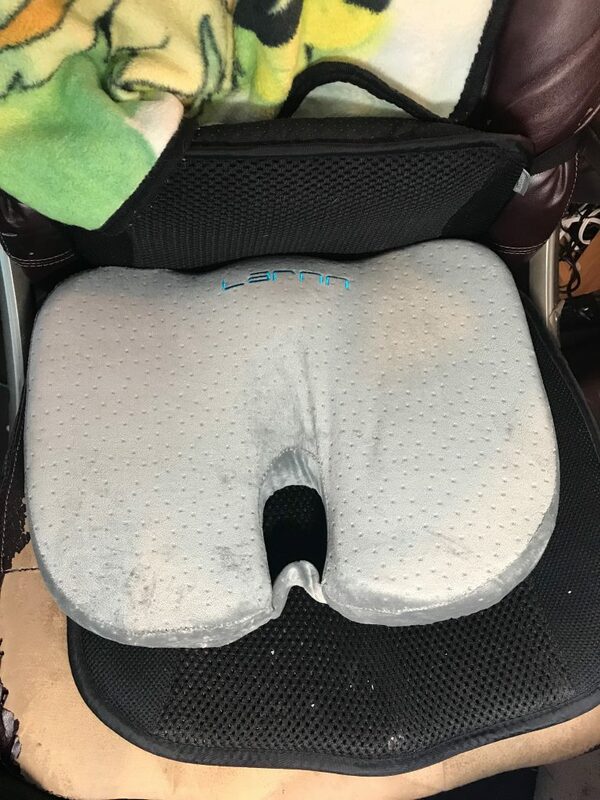 I have spent many hours already sitting on this seat cushion and so far it has been great! It is super soft and it did not flatten or anything the way some might. It stayed plump enough for me to feel a definite difference. An added bonus is that the cover is washable! I am always drinking and eating food while I work on stuff. I will definitely continue using it while I do any of my tasks. I would definitely recommend it to anyone who needs that extra comfort and support. You can view and/or purchase by clicking below. *Please note that my site contains some affiliate links throughout. How To Clean Your Cricut Mats Using Totally Awesome! First let me apologize for my video quality in the video I will post. We moved to a much smaller house and I just do not have the room I used to. Plus this was Thanksgiving night and I was looking a bit crusty from the day and I could not find my tablet/phone stand which probably one of our children nabbed. 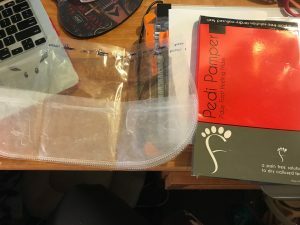 I will simply how you and tell you how to clean your Cricut mats using Totally Awesome though! Now how I got to this point was as a “newbie” who studied a lot about using her Cricut for months before ever touching the thing I honestly thought “whatever I will just buy a new one”. Well here we are probably over two years later and me now into not just using my Cricut for hobby but for business and gifts and I now clean my mats! First, I was and am a packrat so I would sit them around without putting the film over it knowing good and well because it is generally a stupid idea and we have a corgi who sheds like nothing I have ever seen before. I was “busy” and I did not have time for such things. Well I was stupid! 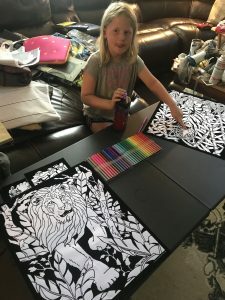 Do not get me wrong there is nothing wrong with picking up a couple of extra now and then after a LONG bit of use to have extras especially if you really get into using your Cricut a lot and especially if you use it for business purposes and get busy like me. It is smart of you to keep the cover on ALL of the mats you have and clean them and rotate them through periodically. 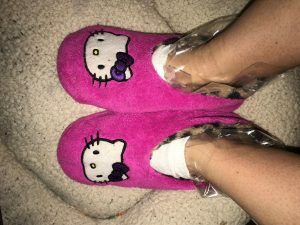 It is such a money saver and so super easy to clean them. Now, find you a space where you can spread out your mats like a table especially if you have the longer ones that measure 24 inches long. We have no table and my one craft tray I keep with my measuring goods and my rotatory cutter so I just used our washer. Whatever works so you have enough room. Take your bottle of Totally Awesome and spray the mat all over. It does not have to be drowning in it by any means but enough to cover and get it clean. Next, take your scraper and begin scraping from one end and work your way down. Wipe away an excess “goo” as you go with your paper towels or cloth. Spray more of the Totally Awesome as needed until the mat looks clean and free of any debris or “goo”. After this you are pretty much done except for letting your mats dry. Simply hang or set them down somewhere so they can completely dry. Once they are dry they will feel sticky like brand new. Congratulations you have learned how to quickly and inexpensively clean your mats! Give yourself a pat on the back and keep on crafting! Youtube video link is shown below. 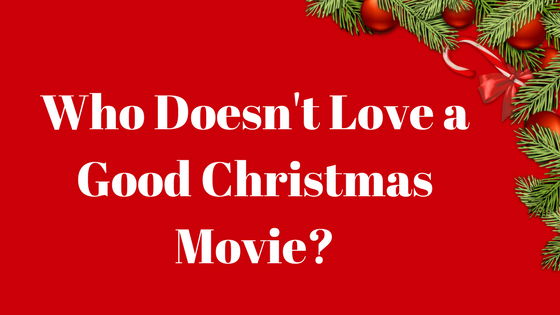 Who Doesn’t Love a Good Christmas Movie? We have embarked on that time of year when the Christmas music has started playing all around us. The stores are all looking red and green with stocked shelves full of Christmas items all around us. The other great thing about this time of year for many of us watching all those feel good Christmas movies whether they be old classics of new ones. Hallmark Channel is especially known for those. They play continuous Christmas movies from now until the New Year. Who doesn’t love a good Christmas movie? You won’t find your usual Golden Girls, Frasier, etc. playing on Hallmark Channel this time of year. You will have to wait it out or find another method to watch all those because Christmas has taken over. So many of us look forward to this. It is definitely widely talked about. The premier new Christmas movies each year along with playing all of our old favorites from the years past. There are two channels you can watch these on which makes for double the fun. You can turn it to the regular old Hallmark Channel or Hallmark Movies & Mysteries to get your Christmas movie fix. 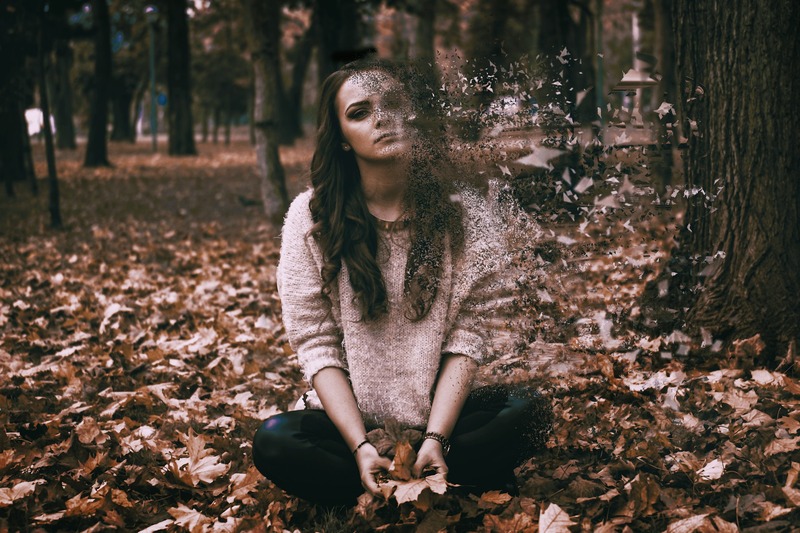 Whether you watch alone while you relax with a cup of coffee or tea or sit around and watch with family these channels are sure to provide just what you need to enjoy your time. There is a certain feel good feeling of sitting around and watching these movies and knowing you can take away a smile and possibly make memories. Don’t miss out this season on all of the new movies coming this year. Bake you some cookies and grab a blanket and curl up for the night. Maybe grab your favorite PJs and your favorite blanket too. 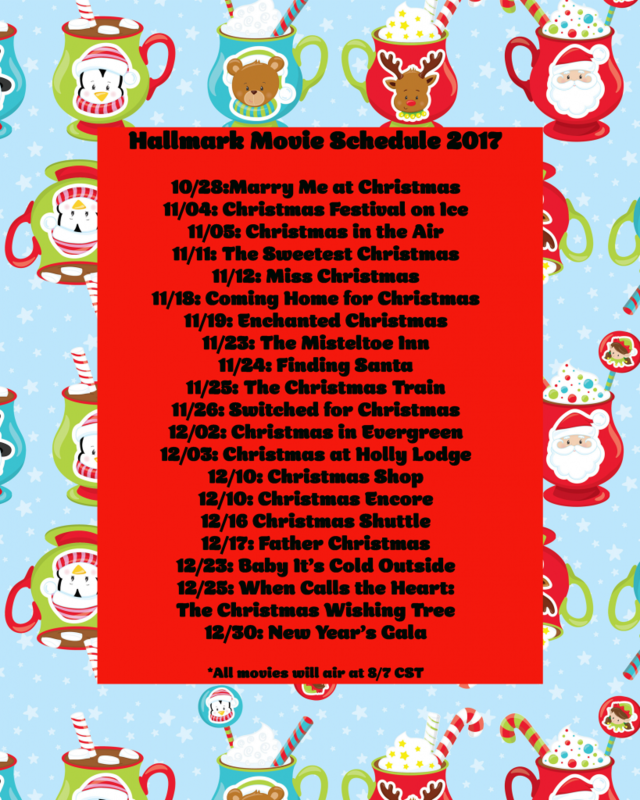 I have included the list here of the dates for each new Hallmark Christmas movie premiere. Be sure to check your schedule to catch any that you missed! 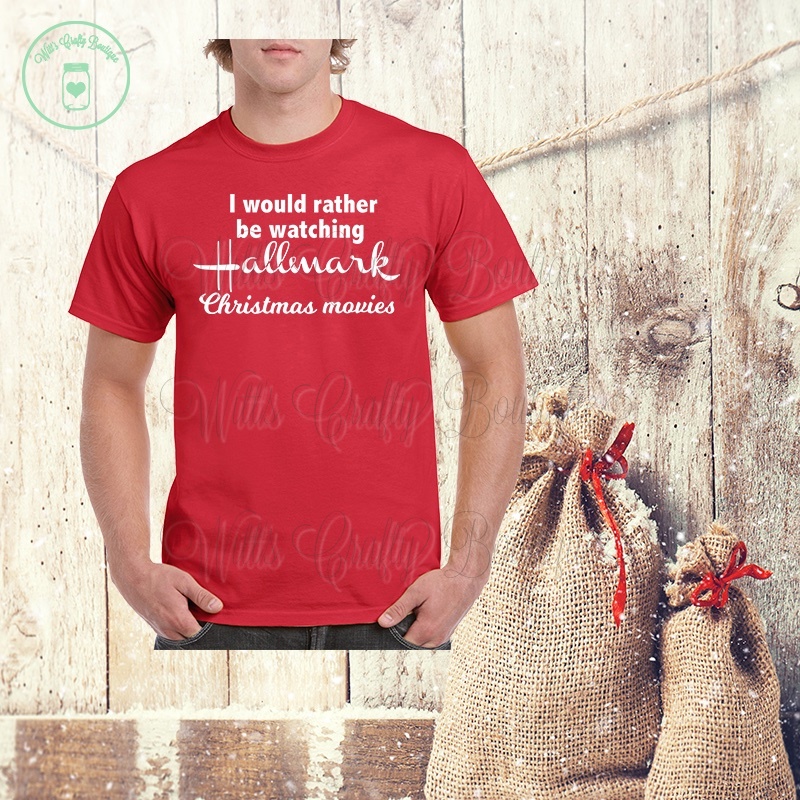 As one last thought I invite you to go on over to one of our shops and see the tee shirt I designed just for us Hallmark Christmas movie lovers with another coming soon. Wouldn’t you rather be watching Hallmark Christmas movies? I decided to sit down and create a short video about my thoughts and experience on the Sarahah app that was all the buzz recently and also about mental health and how things can affect me related to criticism and judgement and things of that nature when dealing with my anxiety and depression. We never seem to have enough charging cords. We especially had this issue when my teenager was still living here. I honestly wondered if he was eating them so many of them would disappear. We all have iPhones and we have two iPads so having lightening cords that are good quality is important to us. I like this kind as the cord is cloth rather than rubber. This keeps it from fraying and shorting out as easily. I have been using this charging cord for several days in my home office and I have had a great experience thus far. The bonus is that it is even pink! It matches my phone and lets me be girlie in a family of all males. Below is my YouTube video review as well as the link to view and/or purchase this cord.